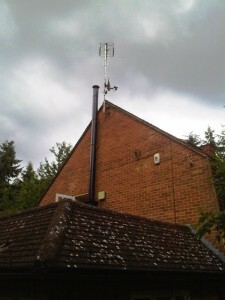 This Westfire Uniq 21 Stove installation took place in a house on the outskirts of Guildford. The client was refurbishing their house and their requirement was to heat the living room which was a single story extension on the house. And apparently in winter it is an extremely cold room. 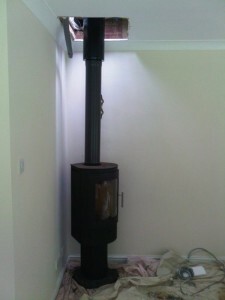 The client wanted a stove that would fit neatly in the corner. 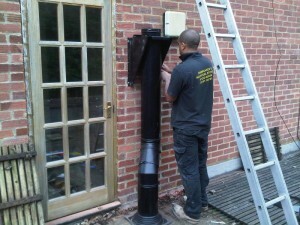 This meant the flue had to run up the outside of the house with a black twin wall flue system. 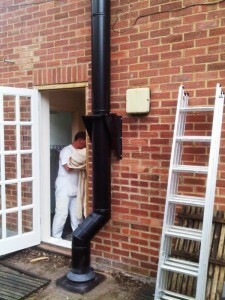 During the installation, when we opened up the roof we found four water pipes running across the roof. 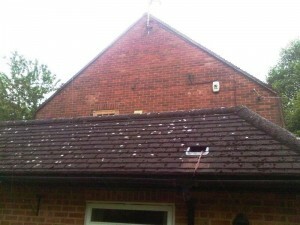 Normally, it is roof joists that are the problem but this was a first for us. 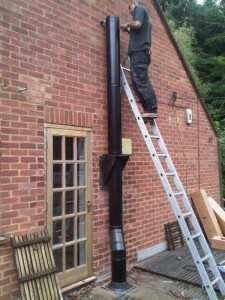 We enlisted a plumber to divert the pipes away from the flue’s path. 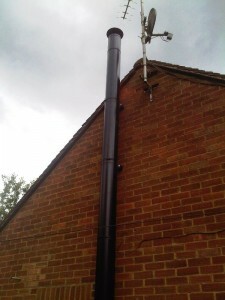 Consequently, the installation was reasonably straight forward and the client was extremely pleased with the final result. 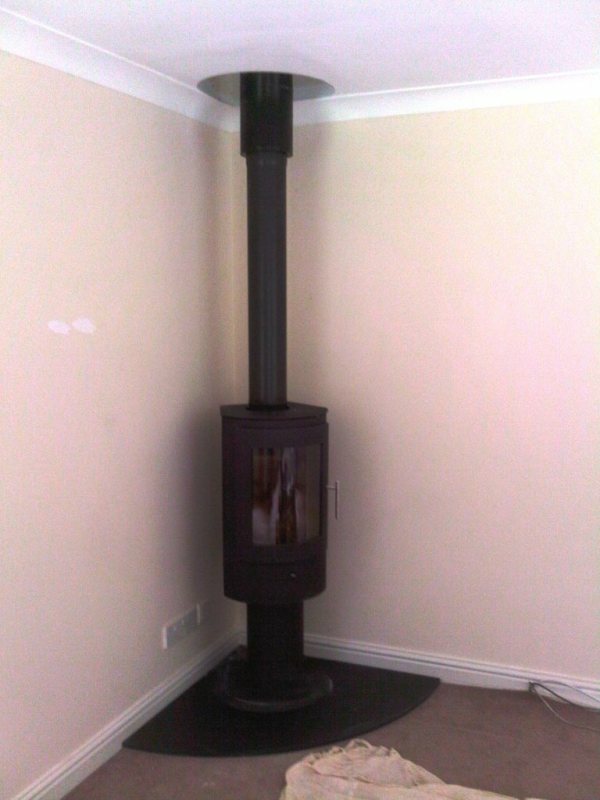 View another Westfire stove installed by The Billington Partnership.